Sometimes it can be hard to balance between test code that’s good documentation and test code that’s not too repetitive and verbose. 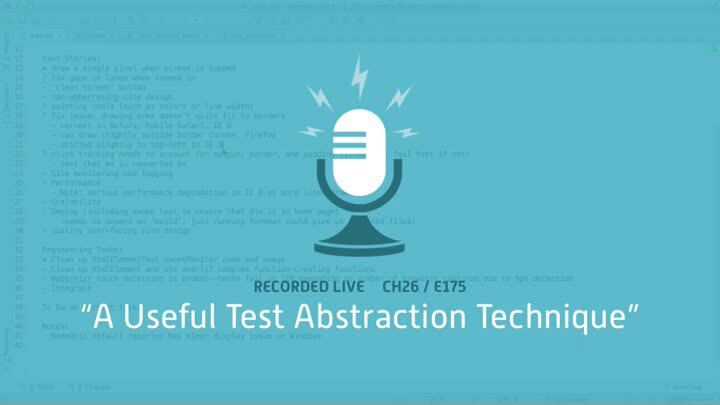 How can you make sure your tests’ abstractions are easy to read? In this episode, we look at a technique I’ve been enjoying recently.